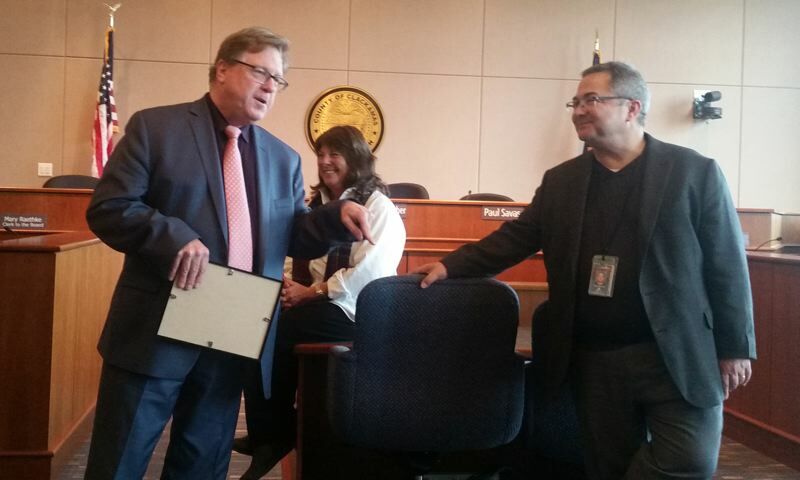 Clackamas County's two previous top managers left service involuntarily, but current administrator Don Krupp, 65, gave county commissioners six-month's notice that he plans to retire. 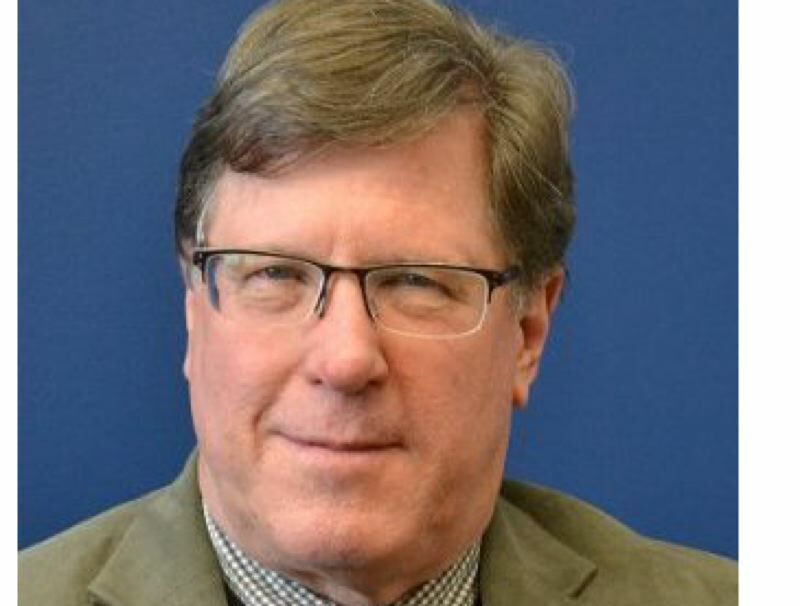 Krupp arrived in Oregon after riding out significant changes in priorities for nearly two decades in Thurston County, Washington, as development-services director and then as county manager. Clackamas County commissioners hired Krupp in September 2013, following their own tumultuous decade of county politics, looking to tap his calm personality and focus on serving the public. "When I first joined the county, it was on the heels of a difficult transition," Krupp said. "When you come int o that type of environment, you have people not sure what was going to happen to them. First and foremost among my priorities when I came on was to bring a sense of stability and confidence to the organization." County Commissioner Martha Schrader was among the elected officials who hired Krupp, she said, "because you really need a steady hand at the tiller." She added in an interview with Pamplin Media Group this month, "He's one of the best administrators I've ever worked with." County commissioners have consistently given Krupp raises: His $220,000 annual salary for the fiscal year ending in June 2018 is up from $207,000 two years ago. Krupp said the birth of his first grandson Aug. 1 was the event that precipitated his retirement. Krupp participated in a retreat with the Clackamas County board at the end of July where he informed the elected officials about his plans to join his son and daughter-in-law in San Diego for his retirement. Krupp already has sold his house in West Linn and is living temporarily in Lake Oswego until Jan. 31, his final day working for the county. Clackamas County will end what Krupp refers to as "a 40-year journey in public service for my wife, Susan, and me." He worked in Washington state for 31 years before moving to Oregon. About three years after Krupp's hire by Clackamas County commissioners, two of the commission members who hired him were unseated by voters. Former County Board Chairman John Ludlow and Tootie Smith had campaigned to "stop Portland creep," fighting new light-rail lines and other regional government development strategies. Krupp's reaction to voters ousting Ludlow and Smith in 2016: Changes in direction from elected officials is "part and parcel of what it means to be a county administrator," adding that "the primary job of a county administrator is to help the board you're currently working for carry out its priorities." Saying the county is committed to diversity and supporting its LGBT employees and their families, Krupp was excited to attend a regional festival and march in the Portland Pride parade starting annually in 2015. That year was the first time Clackamas County had joined more than 200 other community groups, nonprofits and businesses from Oregon and southwest Washington in celebrating and supporting the metro area's lesbian, gay, bisexual and transgender community. Krupp said the city of Lake Oswego joined Clackamas County and Milwaukie city officials in the annual parade this year for the first time with all five county commissioners participating. "It was a significant thing for the county to do because it sent a message throughout the region that we are committed to diversity, equity and inclusion," Krupp said. As far as governmental officials are concerned, Krupp believes they should practice listening before they speak with respect. "There are always opportunities and times for having passionate conversations, and that's normal and healthy, but as far as the outward appearance, it's important to make sure that we have a collegiality and accept the views of others," Krupp said. Krupp says he "can't take individual credit for anything that's been done" under his watch, but one of the things he's been proudest to have been a part of is the Sept. 13 completion of a village for up to 30 veterans to transition out of homelessness. During the spring 2016 budget hearings, County Commissioner Paul Savas asked that the budget contain a $300,000 placeholder for the project that has cost the county about $760,000, so far. "I count on the team of folks and the expertise that they bring to get things done," Krupp said. In 2017, Krupp helped facilitate the agreement on the Stafford urban reserves, involving several cities, the county and Metro all coming to unanimous agreement. Tualatin, Lake Oswego and West Linn will develop plans to determine the timing of development of any part of a previously disputed 6,230-acre area that goes inside Portland's urban growth boundary. Krupp also was directly involved with a settlement with Gladstone to construct county-operated libraries within the city and in the nearby unincorporated area of Oak Lodge. This year 10 of the county's 11 library cities agreed to the intergovernmental agreement modifications necessary for building the two libraries. Although the city of Canby didn't agree to the change, only two-thirds of the library members need to sign on for such modifications to take effect. "One of my regrets about retiring is that I won't be here to watch the spades turn for the new libraries," he said. One area where the county has not yet achieved accord is with the ongoing lawsuit over park services, funding and property as Happy Valley withdraws from the North Clackamas Parks & Recreation District. "I would hope to depart with some common ground on that one too, but I don't know if that's possible or not," Krupp said. Clackamas County has an annual budget of $845 million for general governmental services and about 2,100 full-time employees. The whole county budget is $1.17 billion with service districts for things like sewer, stormwater, a countywide library district, parks/recreation, an enhanced law-enforcement district, Oregon State University's extension district, a street-lighting utility district and a development agency. With the current financial health of the county "very strong and very stable," Krupp says the best way to approach the public for more funds is to show them the county can be a good steward of the limited money it has by achieving a triple-A bond rating. "That's almost unheard of for a county to achieve something like that, and that'll be very important as we come up with a financing package for a new courthouse," he said. "The state is providing significant funds to courthouse renovation and expansion, but even with that help, we're probably going to have to ask the public for a voter-approved bond funded by property taxpayers." County officials have set a deadline for applications to replace Krupp by Monday, Nov. 26. They have a $36,500 budget for the hiring process, which has so far signed on a recruiter and set up a position profile at governmentresource.com/CurrentSearches. "This particular environment here in Clackamas County and this particular position we should be able to attract someone with great talent and expertise," Krupp said. "The best thing you can bring to the job is patience and an ability to be able to listen to others." Clackamas County provides a $165,583 to $223,499 salary range for this position, depending on qualifications and experience, and a 6.27 percent employer-paid deferred compensation plan. Other benefits include health, dental, life insurance, longevity pay, paid vacation and sick leave. "We make the joke that we just need a clone of Don," Schrader said of finding Krupp's replacement. "Sometimes they call us the cowboy county, but he keeps calm throughout."